A mix between country and pop, Swift has made quite a niche for herself after releasing her self-titled debut album in 2006, which she sold about 3 million copies. 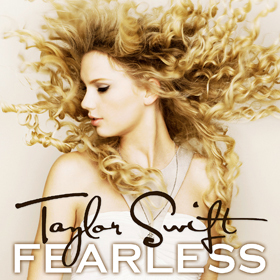 But it’s not about the money for this boy-crazed, lovable blue-eyed blond from Wyomissing, Pa. “Fearless” is made up of 13 songs, each written or co-written by Swift. She reaches a broader audience by adding pop to her country twang about teenage love, heartbreak and moving on — it’s sure to be a hit. It’s not an album for the emotionally impaired. Swift is definitely an artist who wears her heart on her sleeve. She’s not afraid to show her vulnerable side, or just be a regular girl. After all, girls like boys — and they like to talk about it.